When I think about the women in classic rock that inspire bands today, only a select few immediately spring to mind: Janis Joplin, Heart, Joni Mitchell, and Patti Smith. You don't hear too many female rock artists inspired by Linda Ronstadt. 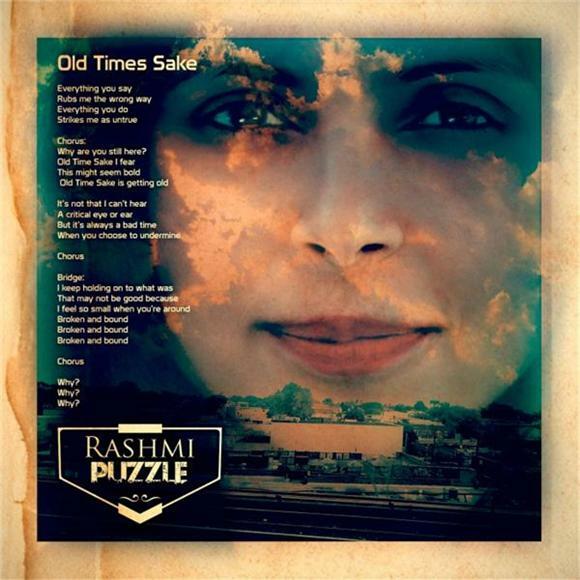 But, on the rootsy, rollicking "Old Time's Sake" by Rashmi -- which we're premiering today -- I hear a little touch of that 70s/80s chanteuse with a healthy dose of Tom Petty for good measure. Rashmi, an actress & musician who is currently appearing on NBC's American Odyssey, has dropped a track rooted in classic American rock traditions with hints of 90s alternative pop. The opening guitar riff to "Old Time's Sake" anchors the tune's tumbling, almost bluesy energy while Rashmi's impassioned voice can swing through careful precision to primal yelp on a dime. For fans of good old-fashioned Americana rock, "Old Time's Sake" fits its name. The song is featured on her upcoming record, Puzzle, which is due out later this year.